The Internal Revenue Service (IRS) issued an updated announcement Wednesday to spell out tax relief to victims affected by Hurricane Harvey that has dumped epic proportions of rain that caused widespread flooding, devastation and numerous deaths. Following President Trump declaring a major disaster exists in the state of Texas, the IRS expanded the counties in which taxpayers are eligible for relief. 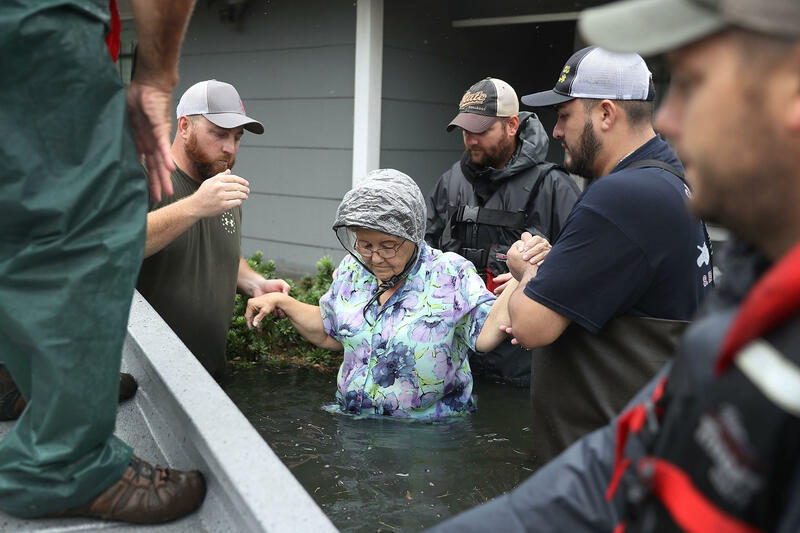 Individuals who reside or have a business in the following counties may quality for relief: Aransas, Bee, Brazoria, Calhoun, Chambers, Colorado, Fayette, Fort Bend, Galveston, Goliad, Hardin, Harris, Jackson, Jasper, Kleberg, Liberty, Matagorda, Montgomery, Newton, Nueces, Orange, Refugio, Sabine, San Jacinto, San Patricio, Victoria, Waller and Wharton. According to the the IRS, they automatically identify taxpayers located in the covered disaster area and applies automatic filing and payment relief. But affected taxpayers who reside or have a business located outside the covered disaster area must call the IRS disaster hotline at 866-562-5227 to request a tax relief. According to the IRS announcement, certain deadlines -- falling on or after Aug. 23, 2017 and before Jan. 31, 2018 -- are granted additional time to file through Jan. 31, 2018. This includes taxpayers who had a valid extension to file their 2016 return that was due to run out on Oct. 16, 2017. It also includes the quarterly estimated income tax payments originally due on Sept. 15, 2017 and Jan. 16, 2018, and the quarterly payroll and excise tax returns normally due on Oct. 31, 2017. In addition, penalties on payroll and excise tax deposits due on or after Aug. 23, 2017, and before Sept. 7, 2017, will be abated as long as the deposits were made by Sept. 7, 2017. The IRS states that an affected taxpayer that receives a late filing or late payment penalty notice from them that has an original or tended filing, payment or deposit due date that falls within the postponement period, should call the telephone number on their notice to have the IRS abate the penalty. If an affected tapyer wants a copy of a previously filed tax return, the IRS will waive the usual fees and will expedite the request. However, you must put the assigned Disaster Designation "Texas, Hurricane Harvey" in red ink at the top of Form 4506, Request for Copy of Tax Return, or Form 4506-T, Request for Transcript of Tax Return, as appropriate, and submit it to the IRS.